A few weeks ago, I wrote an article called Videogames are Broken Toys. Its general thrust was that most videogames are fundamentally toys with a goal sorta slapped on. This both limits the “toy” aspect dramatically and leaves users instead with a thin, weak, unsupported goal. In that article, I focused on the “preserving the toy” aspect, which I think developers really need to do for a lot of single-player adventure-y/sandbox-y types of things, like perhaps Grand Theft Auto or The Legend of Zelda. On the other hand, though, there are some videogames which are almost always played competitively: things like Counter-Strike, League of Legends, Outwitters, or fighting games. The problem is that even these competitive videogames, all of which do qualify as “games” by my prescriptive definitions, are still operating on a mostly-toy foundation. They are loose, still footed too deeply in fantasy simulation, and allow for too much “play” overall. This results in a number of problems, but the most visibly apparent one is the problem of turtling. 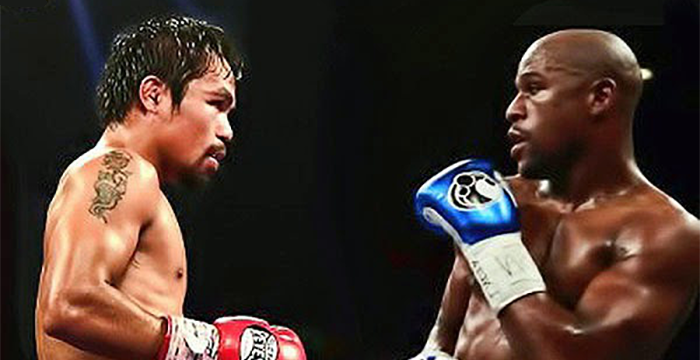 I don’t follow boxing, but recently there was a very high profile boxing match. Apparently, some are dissatisfied with the way the match went – people are saying it was defensive, long, unexciting. Were the boxers turtling? I’m not sure, but what I read certainly reminded me of some of the issues that similarly loose competitive videogames have struggled with for years. For those who don’t know, “turtling” basically refers to a player playing very defensively and waiting for the opponent to make a move. It’s somewhat of an extreme form of “defensive play”. Turtling occurs frequently in just about every fighting game, FPS, or wargame (i.e. any competitive videogame), and even in some tabletop competitive games (specifically, simulation-based wargames). Both players build their resource engines and defenses up and up and up until someone finally makes a move and then there’s a huge, swift cascade of attacks that results in an almost immediately decisive victory (i.e. no back-and-forth or comebacks after this point). Matches take longer than optimal. If players are playing defensively, they are slowing down the process of the game. If both players are playing defensively, game lengths can go on for a really long time. Matches are less interesting, often un-interactive early on. Endgames tend to be a huge, sudden cascade that involves little decision-making. 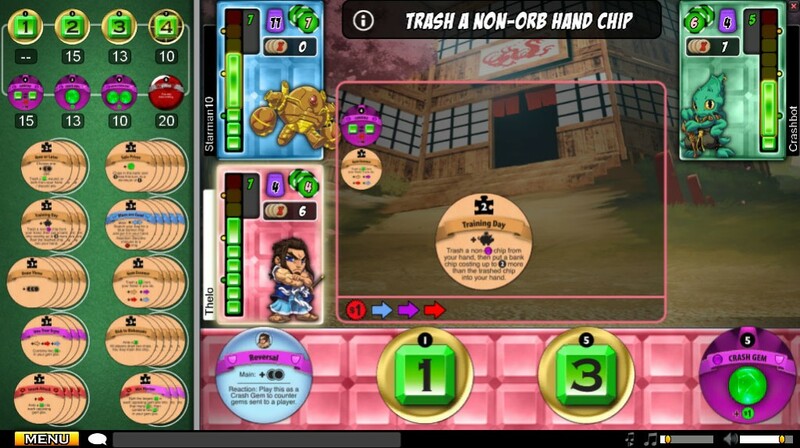 Some gameplay elements are rendered unusable. Overall, these are considered to be undesirable qualities for a game, and developers try to do what they can to minimize it, but the problem is that they’re applying top-down solutions to a fundamental problem. I’m using the word “Simulationish” here loosely to mean settings in competitive games like a war, or a fight. Dungeons and Dragons and hex-and-counter historical simulation wargames are pretty much the foundation on which computer gaming is built, and it still shows today. This is distinct from boardgames like Through the Desert or abstract videogames like Dr. Mario, both of which are, I suppose you could say “more abstract”. I would rather say that they are just less based on simulating anything, and more based on building a strong ruleset. Overall, the big problem with a simulationish setting is that it tends to lead you to have too much control. The player is able to move units forward and backward whenever they want. The player is able to produce a limitless, or nearly-limitless amount of units. Don’t get me wrong: games need to give players enough decision-space so that they can express creativity in their decision-making and problem solving. But with that said, a game should also have its own momentum: games should be heading towards their conclusion at all times. So there is a bit of a fine balance there. The cheapest, least-effective and usually worst way to make games “always be heading towards their conclusion” is to add a timer. A much better answer is to just have things built in such a way that they are naturally just going to conclude – like a Rube Goldberg machine that has a momentum of its own. You can speed it up a little bit, you can slow it down a little bit, but mostly it’s just about steering it so that when it lands, it lands in your favor. Instead, what we have are basically still toys – big, loose sandboxes with a goal slapped on top. This is, as I mentioned, the opposite problem of my “videogames are broken toys” article. While most videogames (particularly those that are single-player) are intended to be played as toys primarily but then have an unnecessary goal slapped on top, some videogames are meant to be played competitively and not as toys at all. Yet, in both cases, we’re operating with a toy “base” – a bunch of elements loosely placed in a space. Here’s a weird thing. Let’s say you and I want to play StarCraft against each other. Let’s also say that we both intend to turtle for as long as possible. What’s going to happen is that we’ll barely interact for the first 20 minutes, at least, and then it will effectively come down to which player is less willing to bore themselves. Or how about Super Smash Bros. If both me and my opponent don’t want to engage each other, we can both just sit on our edges of the map (assuming we’re playing stock, of course) and wait for the other to come at us. Granted, in a practical real world situation, these tend not to be huge problems, because players tend to “play along” and go attack the enemy. The fact that you could just not engage the enemy already is a deep fundamental problem that may not cause any direct, obvious issues, but definitely causes gameplay problems in the long run. And further, players shouldn’t have this responsibility anyway. Players should never have to choose between “optimal” and “fun” – the optimal choice should be the fun choice. I refer to this as “playing designer” sometimes, where the player has to make a sub-optimal choice to better his gameplay experience. If you think sitting in the back of your base not interacting would be optimal, and if the game allows you to do that, then you should do it without worrying about whether it will be fun for you. The player shouldn’t have to worry about whether their decisions will result in fun – that’s the game designer’s job. Most outwitters matches do this for 20-40 turns up front. The game is inherently defensive. You’re getting a constant income of Wits, and there’s no cap on the number of units you can produce, so you might as well pump out a massive line of units, as these guys do and as every single high level player learns to do. OneManLeft tried early on (while they were still patching and balancing the game, which I’m sorry to say seemed to only happen once or twice since launch) to “fix” this issue by adding the following rule: killing a unit gives you +1 wit. The problem is, this is a top-down solution to a bottom-up problem. It is fixing some high level rules when at its core, Outwitters is defensive. You really just can’t fix a problem like this with high level, specific rules like that. How can you fix it? Well, you kind of can’t fix it at all without designing something completely new from the ground up, actually. Outwitters has taken the simulationish toy wargame as far as it can go – and that is a compliment. The only solution is to drop this simulation-based strategy game concept entirely. We have to give up the fantasy simulation aspect if we ever want to build significantly stronger wargames, fighting games, or any other kind of competitive system. We have to build systems that have their own inertia towards their conclusion. How about if the units in Outwitters were constantly moving forward? How about if there’s some collectible/spendable resource and an upkeep cost that gets paid every few turns, and running out of this resource is the goal? How about if you can’t produce and destroy units, but it’s more just about getting an advantageous position? Yes – this will force our games to look less like action movies and more like… just some strange little machine. But that’s what games are: strange little decision machines. We need to seriously get off of this “produce units who do damage, walk them over to other units and they punch the enemy and the enemy dies” treadmill. We can do so, so much better than that. If you want to create fantasy simulations, OK – go do that! Just don’t slap goals on them and then expect them to ever be strong competitive games. If you want to create strong competitive games, you need to give up the fantasy simulation aspect. Creating a machine that presents human beings with decisions that are too hard to be solved, yet coherent and easy enough to chip away at is not easy. It’s incredibly, incredibly hard. Trying to do that and also create something that “looks epic like that scene from Starship Troopers!! !” is literally impossible. Boxing, Go, StarCraft – these games were all definitely great for their time, but none of them are good enough for the future. By abandoning the fantasy simulation aspect and simply making the strongest system we can make a system wherein “turtling” either just isn’t an option at all, or it comes at a huge enough cost that no player will ever do it for more than a short time. What that means is more efficient, effective, and fun games. What are some examples of things that do this? Well, I already mentioned something like Dr. Mario and Through the Desert, but also I think of David Sirlin’s Puzzle Strike as a good example. 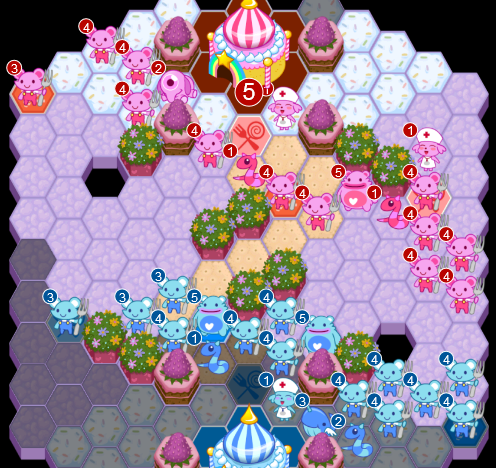 In that game, you have these gem-piles which are constantly getting bigger and bigger throughout the game, and when they fill up for one player, that player loses. You can increase and decrease the rate at which the gems are coming in, and you can “crash” them to remove them, but mostly the game is heading towards its conclusion, and you can only steer it: not stop and start it. Another example that I like is Age of Steam, wherein players start out in debt and constantly are getting more and more in debt as the game goes. To conclude: don’t be afraid of seeming a little strange or abstract. We have enough D&D war fantasies by now anyway. If we want to get over this turtling/defensive play problem that appears in almost every competitive videogame, we have to do something radical. No amount of fiddling/tweaking is going to change the toy-foundation of our games.